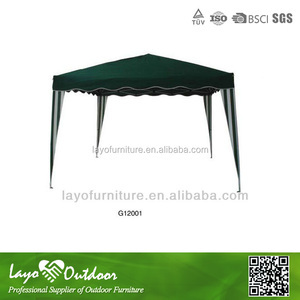 Product Name: garden gazebo, garden canopy, party tent, pavilion, awning, bowery tent Frame: wood with polishing. Feature: novel and beautiful appearance, simple and stable structure, quick assembling. Color: 24 colors including red, green, yellow, blue, white, green and white stripes, yellow and white stripes. 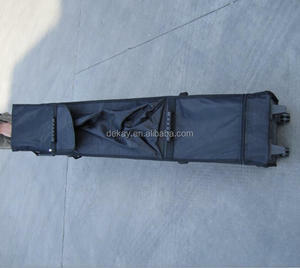 Our factory, Zhejiang Dekay Tent Corporation is a professional manufacturer in this line for many years. We have supplied many well-known companies for more than five years and they are quite satisfied with our products. More information are available as requested. 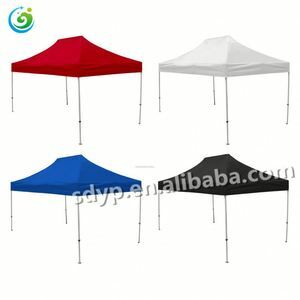 Summer Event Pagoda Marquee Beach Tent brief introduction Our Summer Event Pagoda Marquee Beach Tents have high quality and reasonable price, we are a marquee and tent factory. Summer Event Pagoda Marquee Beach Tent frame material Frame material of Summer Event Pagoda Marquee Beach tent we use hard pressed galvanized aluminium 6061 /T6, It's very strong and can last 15-20 years under proper use. Summer Event Pagoda Marquee Beach Tent Max allowed wind speed, snow loading 1.The maximum allowed wind speed of Summer Event Pagoda Marquee Beach tent is 80KM/h. 7. Quality control We have QC to control our quality, the first QC is about hardware, the second is PE rattan, and the last is about packing. 1)Before producing, QC will check the original material, especially hardware and PE rattan, and the process of controlling is very strict. We have two part of business, one part is trading company, sell and source; Another part is buying agency for different customer, and this part business grows every quickly. Fabric oxford polyester Color camouflage or customized Frame steel wire Payment Terms 30% deposit T/T in advance,balance T/T before shipment Style hunting blind Function Dia. 2.20 days with available materials, 45days with customized materials. 3. Commonly our products will be shipped by sea, but air and EMS are acceptable as well. 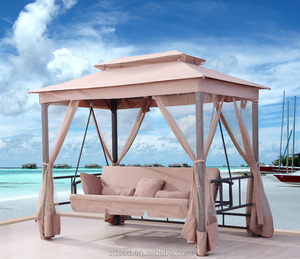 Alibaba.com offers 778 chair gazebo products. About 30% of these are patio swings, 22% are gazebos, and 8% are garden sets. 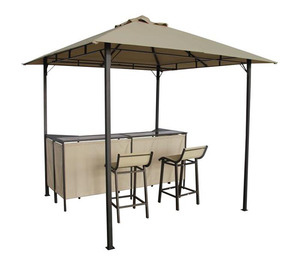 A wide variety of chair gazebo options are available to you, such as metal, rattan / wicker, and plastic. You can also choose from steel, cast iron. As well as from free samples, paid samples. 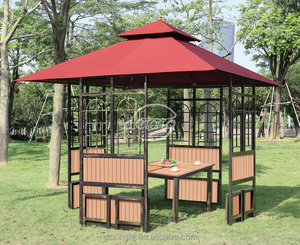 There are 778 chair gazebo suppliers, mainly located in Asia. 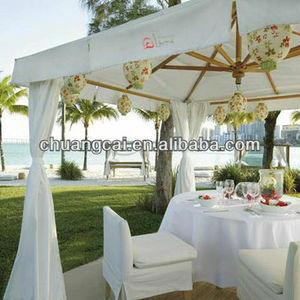 The top supplying country is China (Mainland), which supply 100% of chair gazebo respectively. 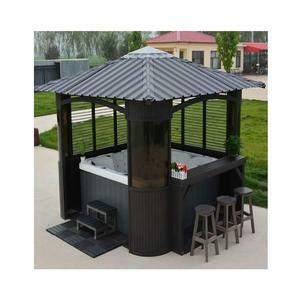 Chair gazebo products are most popular in Western Europe, North America, and Mid East. You can ensure product safety by selecting from certified suppliers, including 108 with ISO9001, 45 with Other, and 28 with ISO14001 certification.